As if planning to air Kamen Rider Drive with the cast of Tsuperhero wasn't enough, GMA-7 decided that they too will air Kyuranger this 2018 a month or two after the show is done. Right now, GMA-7 has decided to secure the rights. As Kyuranger is coming to an end, Jessica Soho mentions that GMA-7 will grab the opportunity to air the series on a summer break. She says, "Well it's time for Japan and the Philippines to get closer. 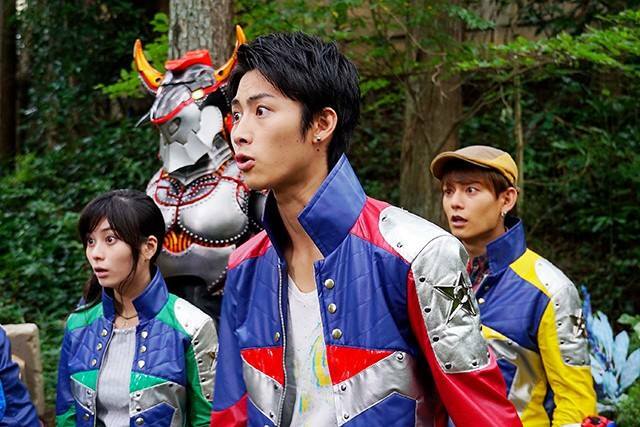 What better way will it be but to air this year's Super Sentai next year a month or two after it ends. We will also plan to invite the Kyuranger cast to the Philippines as well as the Kamen Rider Drive cast to see our beautiful country." It is also said that Filipino singer Beverly Caimen may sing a Tagalog cover for Kyuranger and Kamen Rider Build. But there is nothing to suggest that Beverly herself will carry out the said projects. Other Filipino singers are still considered such as Gerphil Flores who is said that she may sing a Tagalog cover for Kyutama Dancing. Stay tuned for further developments of this new project by GMA-7.